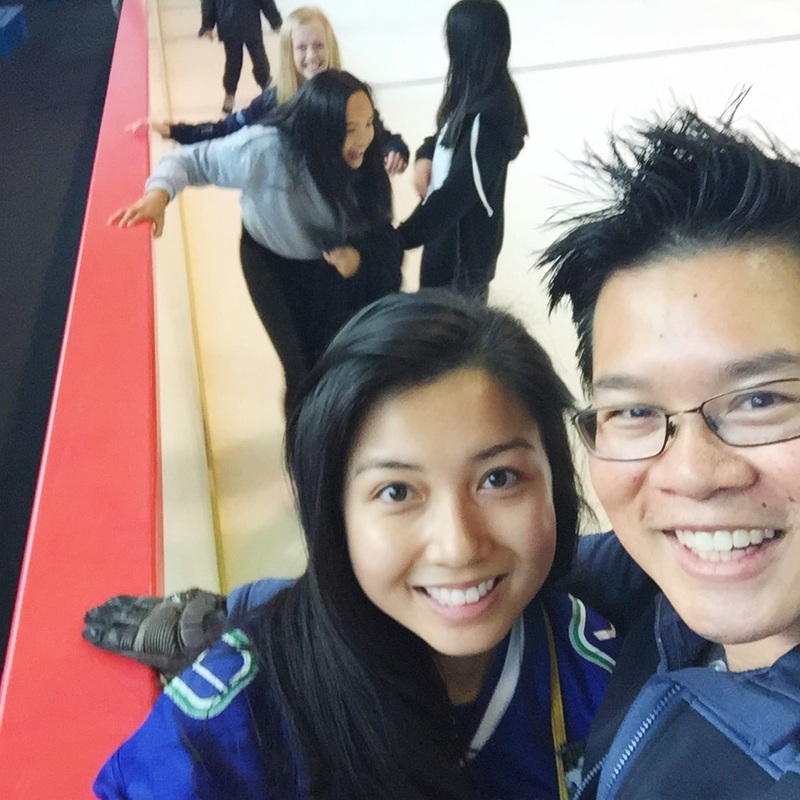 Ice skating and ice hockey is as much of a Canadian cliché as maple syrup and poutine. 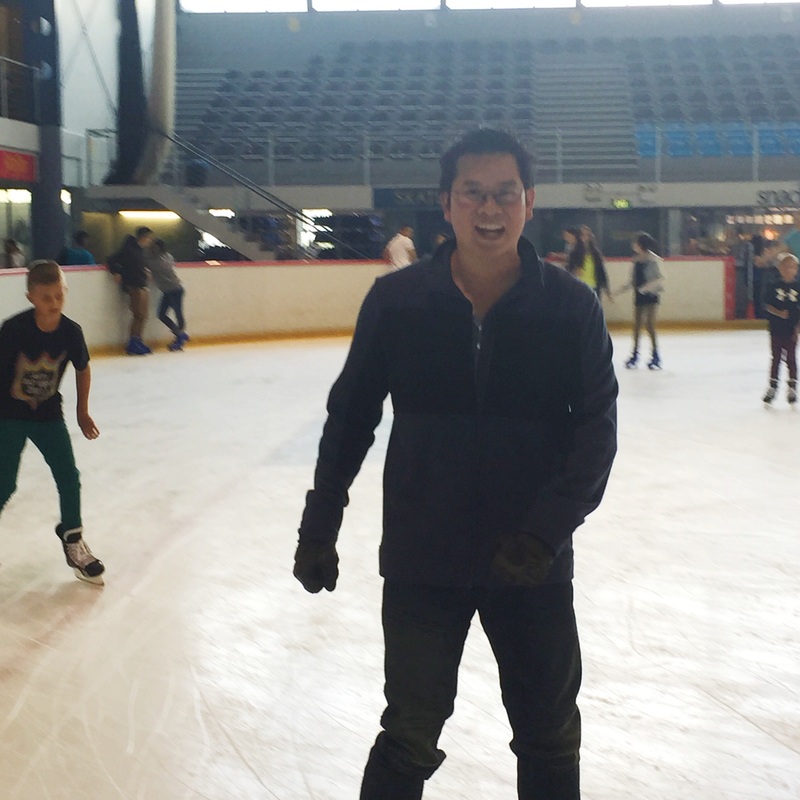 It’s not a negative cliché for me personally as I love all of the above and like many Canadian children I grew up taking ice skating lessons. 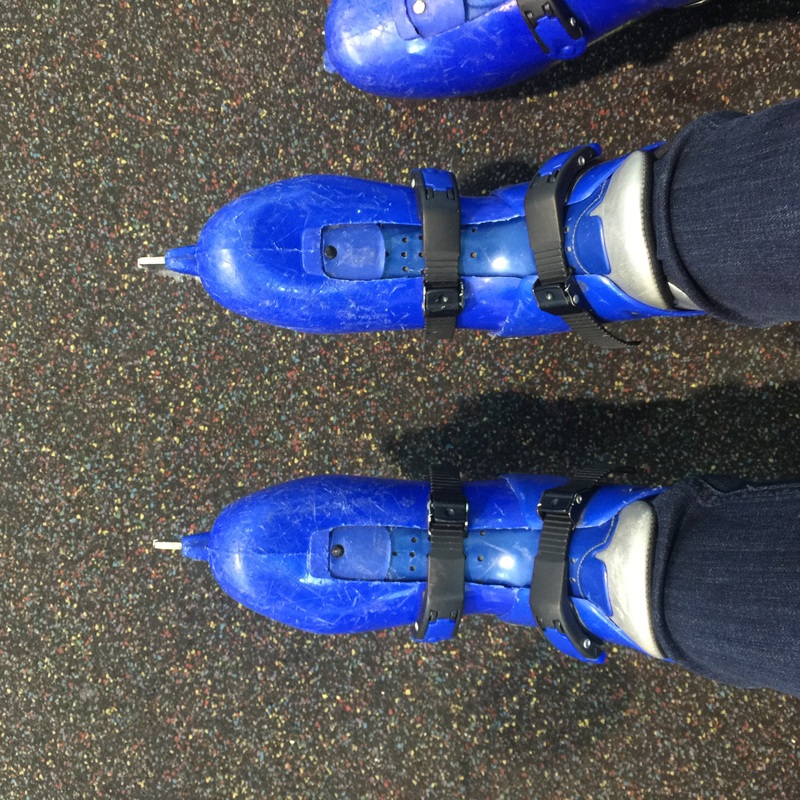 I used to be moderately proficient, but I’ve forgotten all my cross-over turns and how to stop other than using friction. 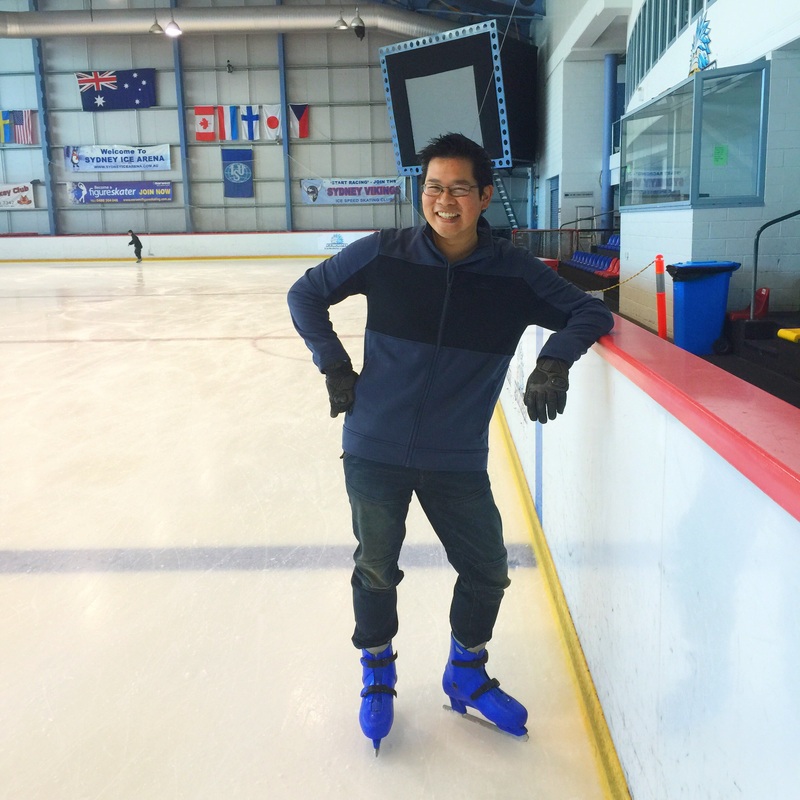 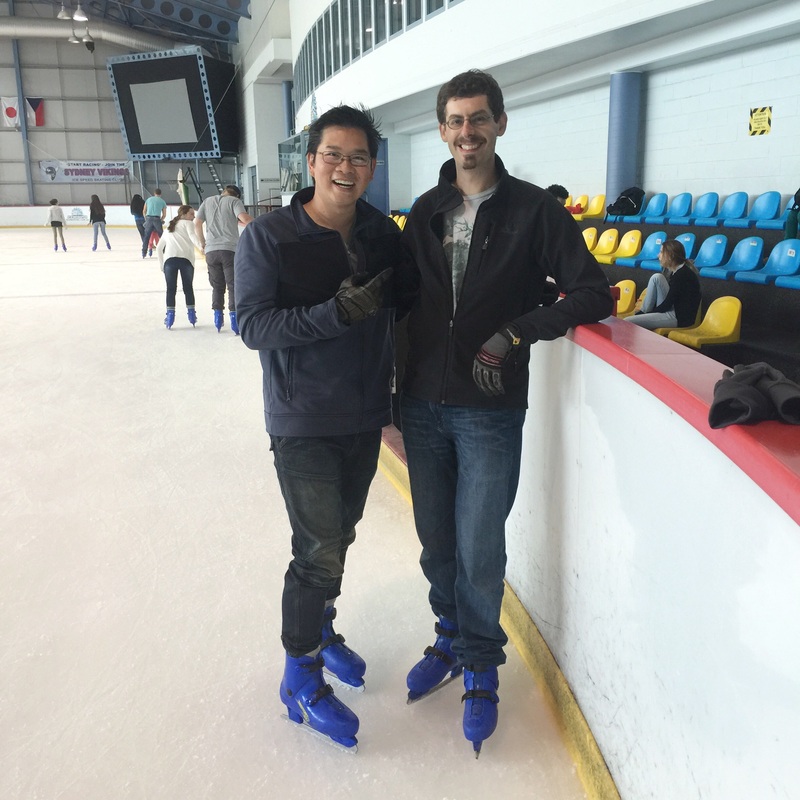 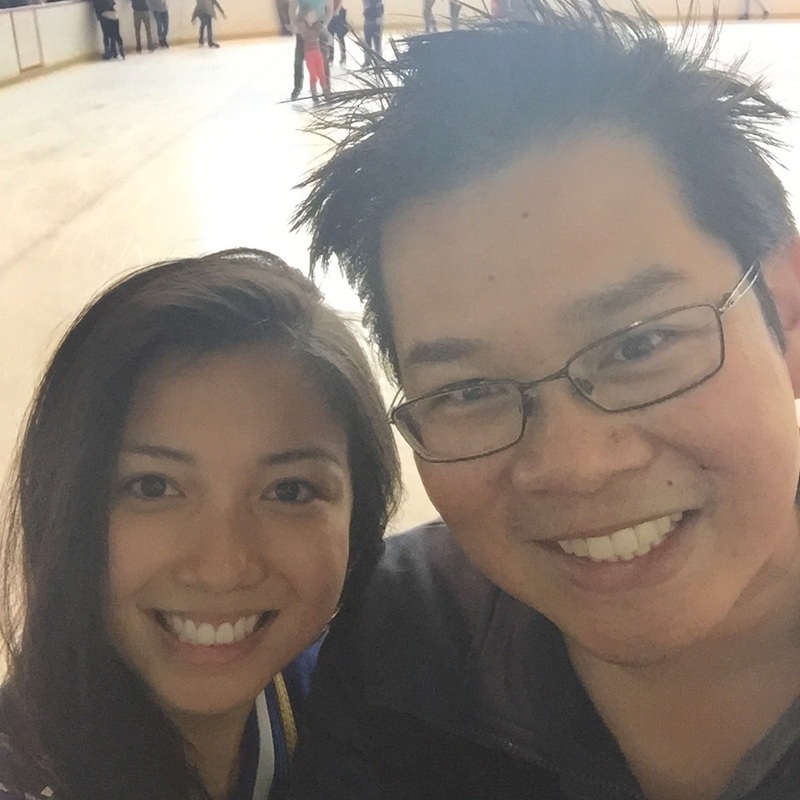 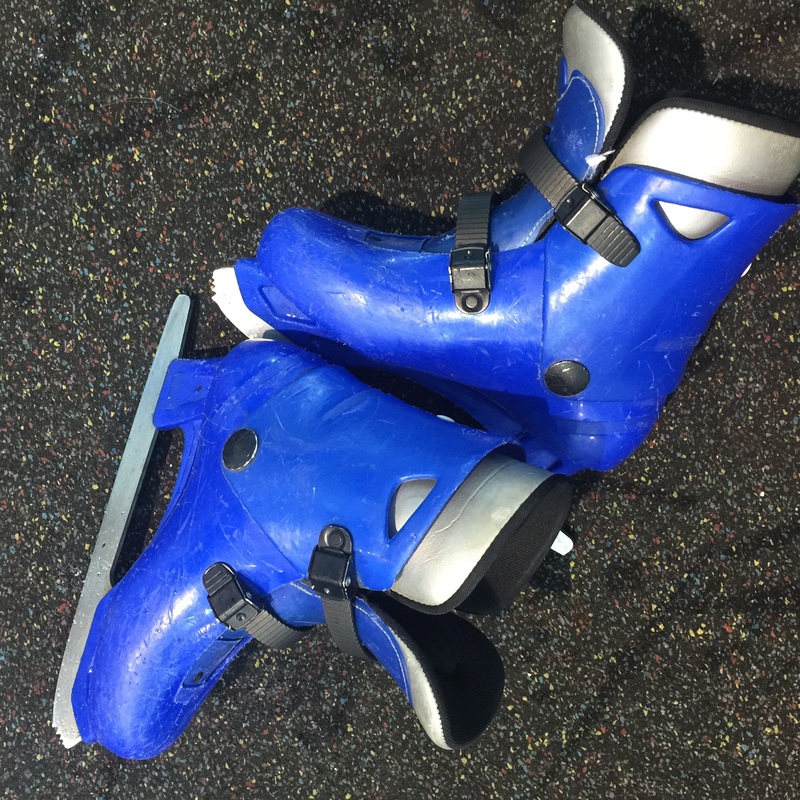 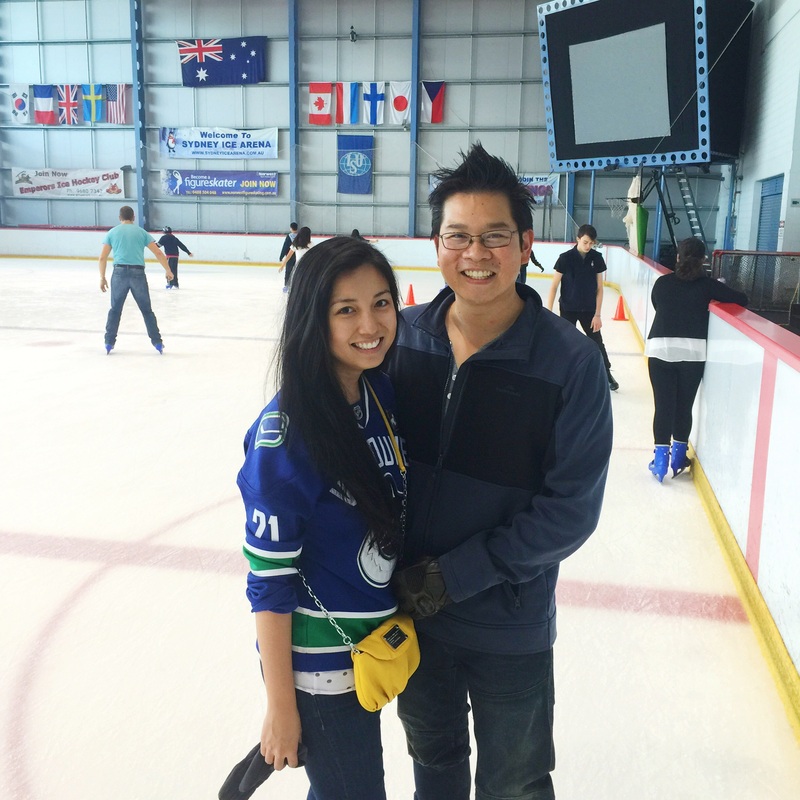 Anh and I have been meaning to go ice skating for a few weeks now as we live very close to an ice rink (there’s only a handful around Sydney) but we’ve usually gotten caught up with other activities on the weekend. 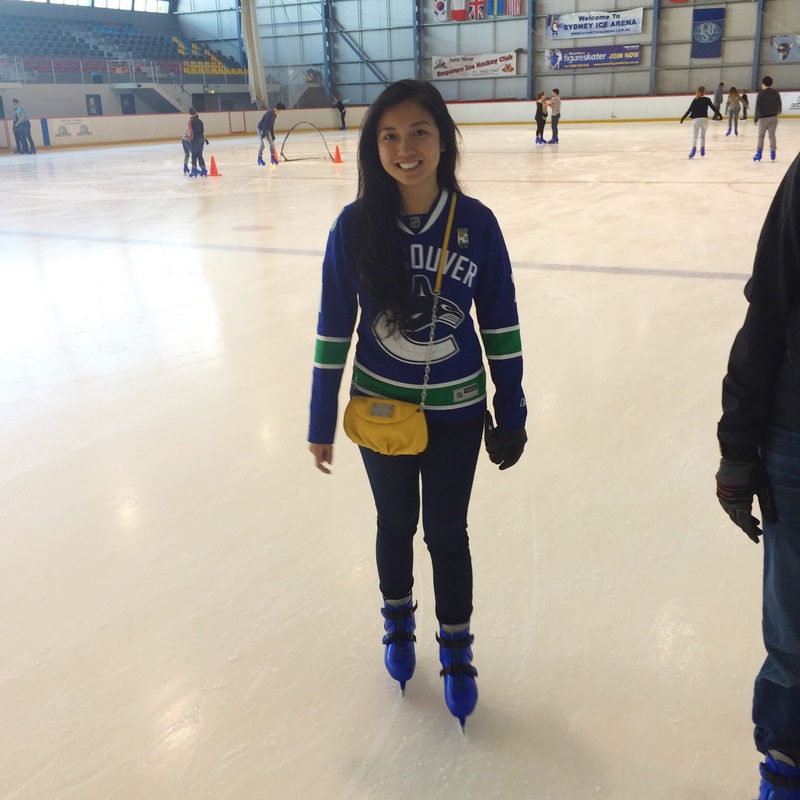 Anyways, we were having one of Anh’s friends over for brunch this Sunday and somehow we got on the topic of hockey and ice skating. 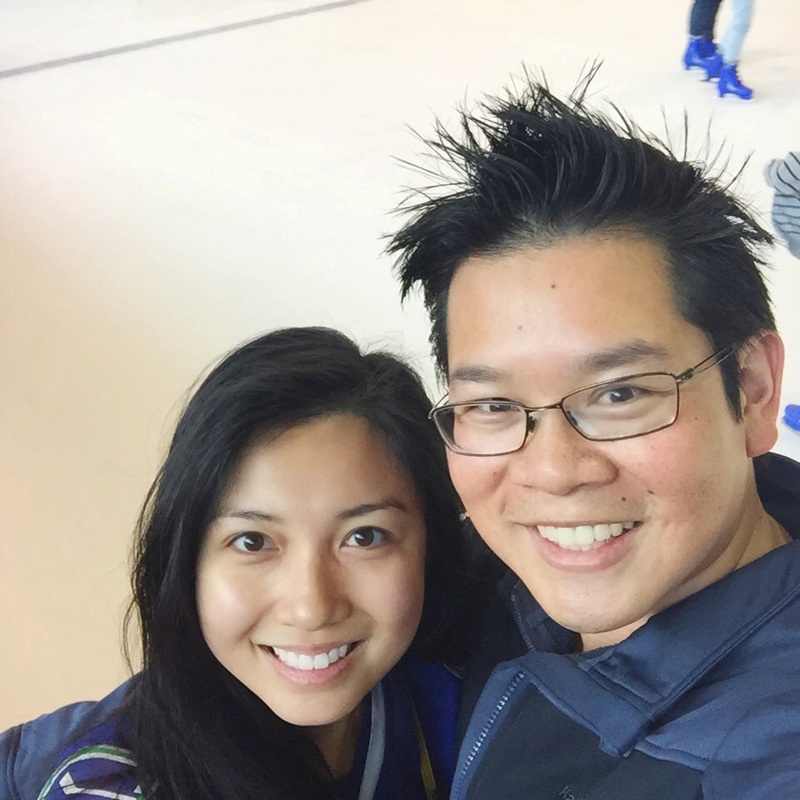 James mentioned he’d be game to go skating with us if we went in the next couple weeks while his family was still vacationing in Korea. 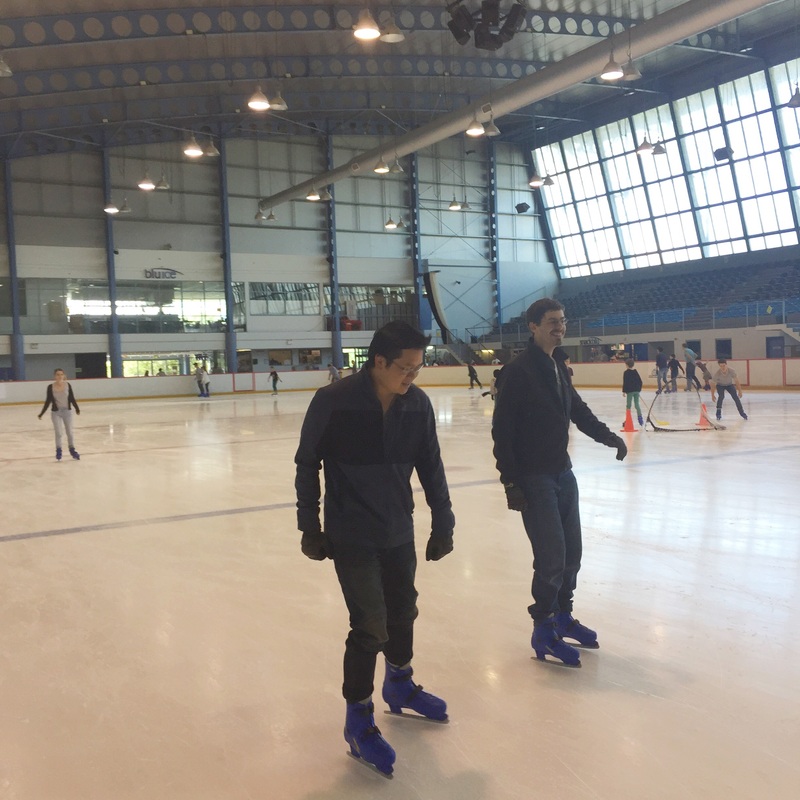 As it turns out, there was a public skating session starting in 15 minutes and so we decided quite quickly to go skating RIGHT THEN. 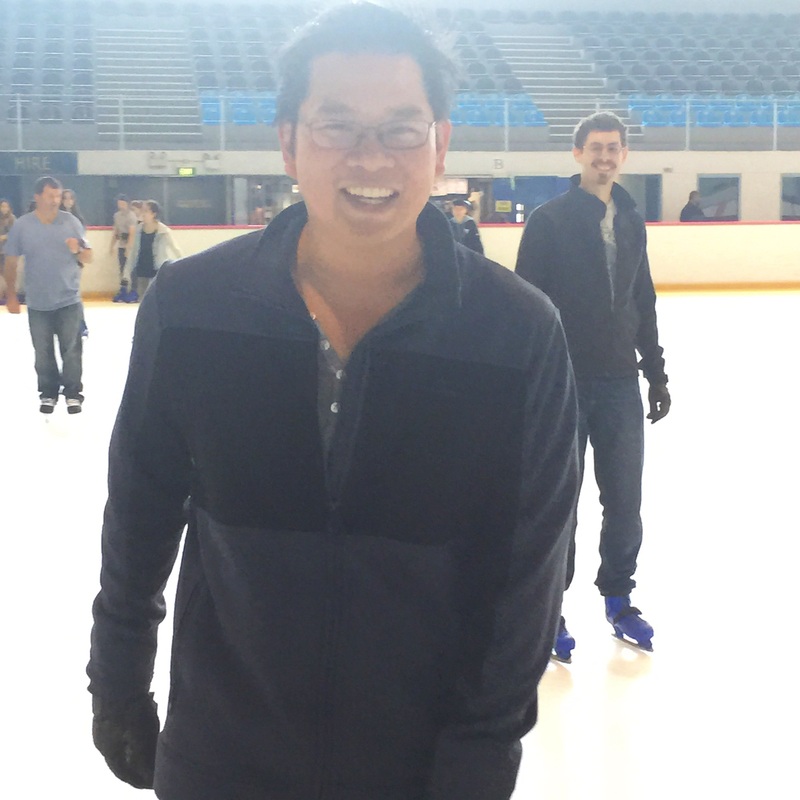 I just love this photo because it was the exact moment the girl behind us was going to bail.